"We caress each grape into surrendering its deepest sensuality. The result is a luxurious wine evoking layers of rich chocolate, cedar spice, and Victoria's Secret lingerie." "By hand harvesting at relatively low brix and minimal use of new oak, we seek to produce elegant, balanced wines that convey the soul of each site." Low brix? Minimal oak? Balance? Where do these people think they are? France or something? 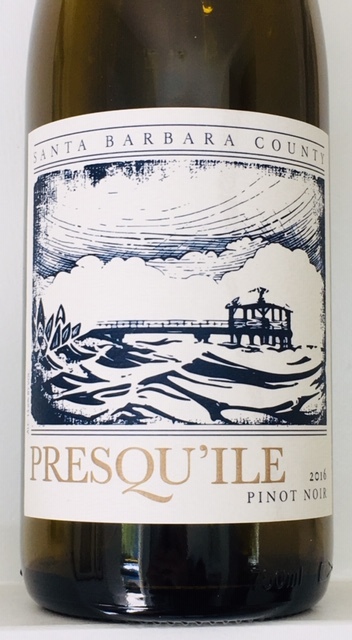 Presqu'ile Winery is in the northern reaches of Santa Barbara county. Like most wineries around there, their pinor noirs are on the pricey side. 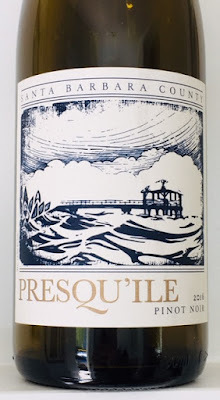 But at $21, this 2016 Presqu'ile Winery Pinot Noir Santa Barbara County seems to be trying to draw drinkers into their higher end stuff. It’s a pinot that actually tastes like pinot. It's well made with respectable acidity and enough fruit to stand up to grilled fish. It’s also under 14% abv. Is it a sign of a turning point? I highly doubt it. And that's okay because there's more of it out there for those of us who don't need a Danielle Steele wine. Hello,I just visit Napa Valley for tasting wine. It is one of the best places for tasting wine. One day my friend Allen talk about South African wine. She also tells me South Africa produced a huge quantity of wine. In my city, South Africa red wine is very famous. I also like its brands.